For many, Turkey luxury holidays mean an exclusive coastal resort where you can languish in decadent 5 star splendour. That may sound appealing, but for a holiday that offers more opportunities to experience the intriguing character of Turkey, consider a visit to Istanbul, a magical city where you can sample some of the nation's best hotels and restaurants. 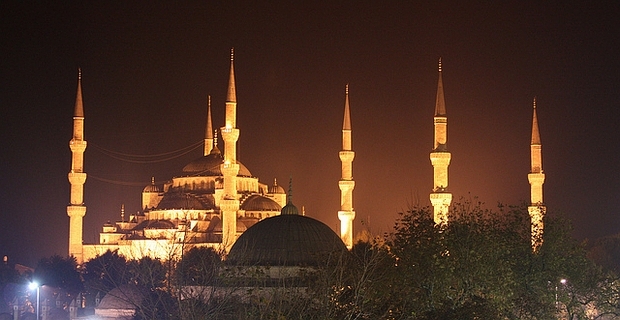 Istanbul has fascinated visitors for centuries because of its location. It straddles the crossing between Europe and Asia and its character reflects aspects of East and West. It's an ideal destination for Turkey luxury holidays. The Kempinski Ciragan Palace (kempinski.com/en/istanbul/ciragan-palace) on the European Bosphorus shore has some of the best views in Istanbul, and is the perfect place to enjoy a luxury stay in the city. Suites in this former Imperial palace offer you the same comforts that were once afforded to Ottoman sultans. The exclusive restaurant Tugra continues the Ottoman theme, with some of the most impressive fine dining in the city. If you prefer to eat out, head for the self-explanatory Fish (fishistanbul.com) on the Galatasaray islet. This is where the city's beautiful people gather to sample the freshest seafood cooked and presented in a way that puts the emphasis on simplicity and style. Turkish baths or hammams are an obvious tourist interest, but in Istanbul you can enjoy the experience in elegant surroundings. One authentic favourite is the Çemberlitas Hamami (cemberlitashamami.com.tr). Opt for the Oriental Luxury treatment and you'll be following in the footsteps of the monarchs, composers and Hollywood stars who have submitted to a vigorous rubdown here. To make the most of your Turkey luxury holidays in Istanbul, ask locals about the latest hotspots in town. Like any major city, Istanbul's nightclubs, restaurants and hip hangouts are subject to the vagaries of fashion. What may be popular with millionaires one week can fall out of favour the next. How to get fit in Istanbul.